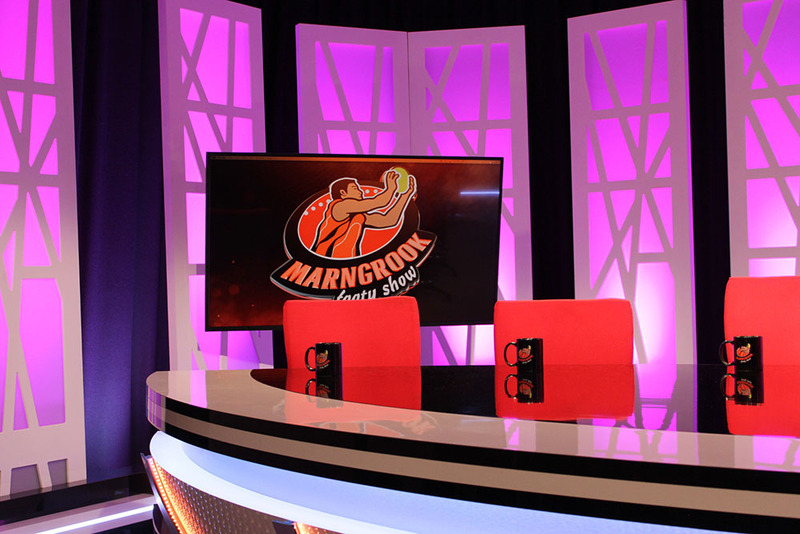 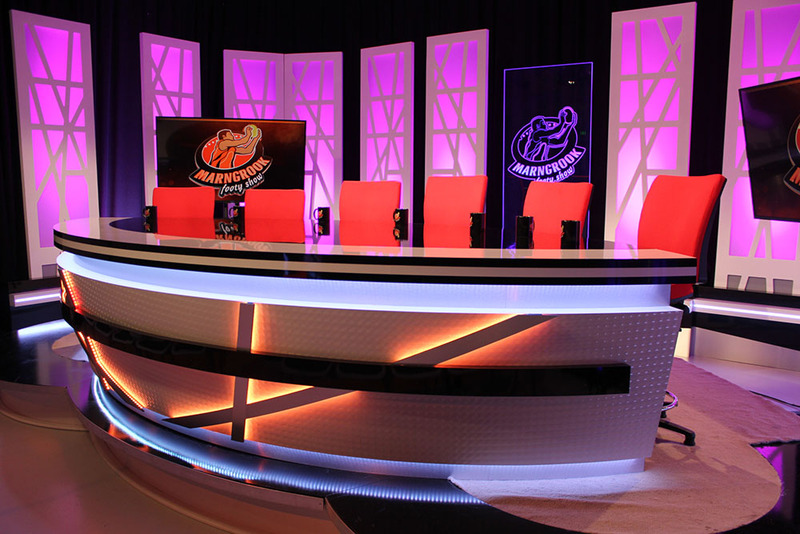 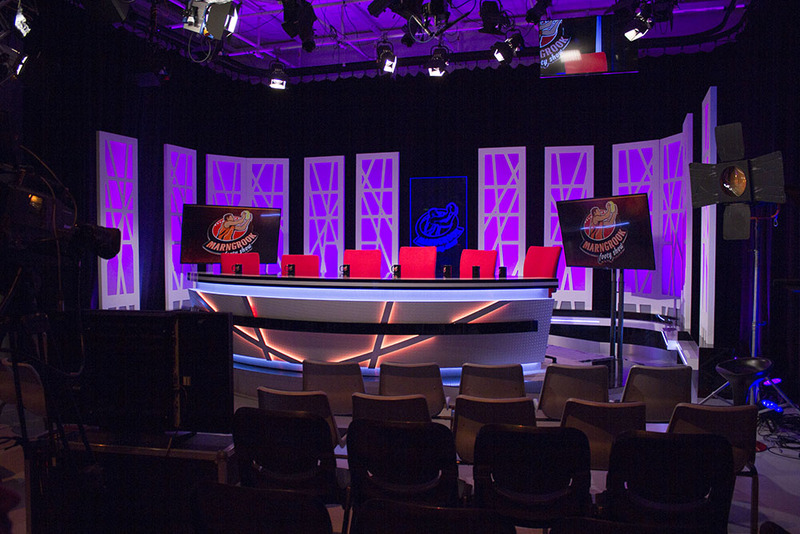 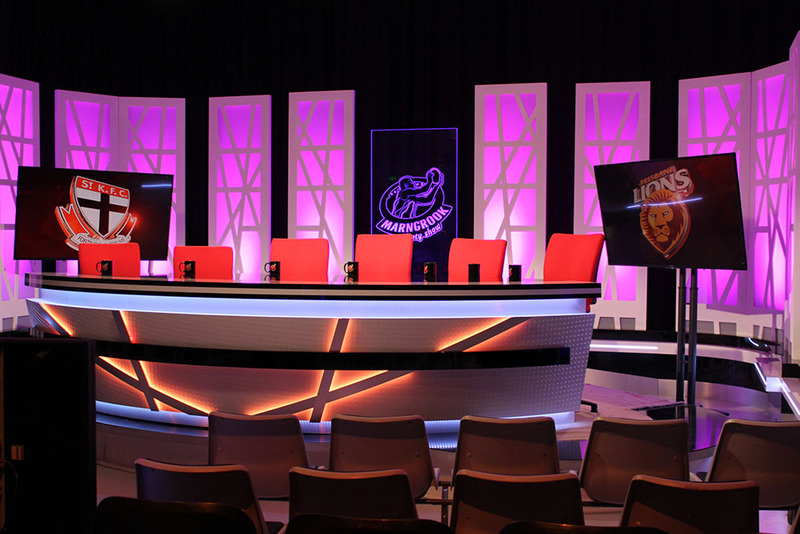 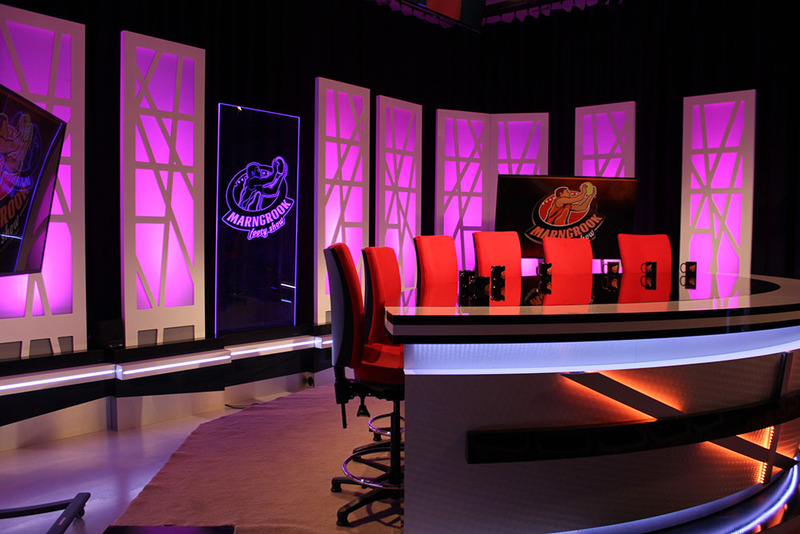 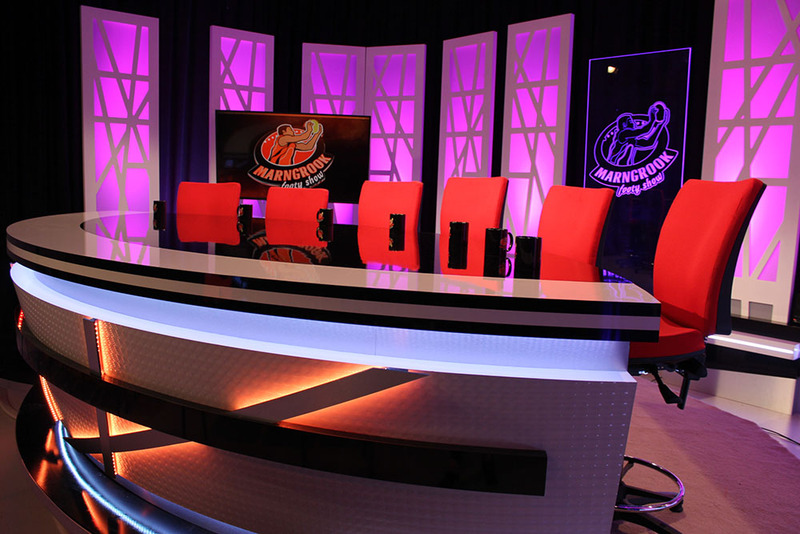 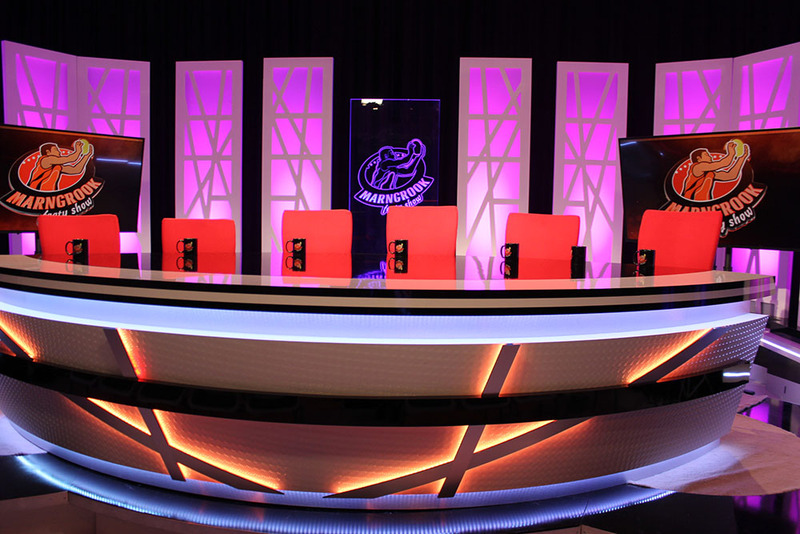 Marngrook Footy Show approached us to design and construct a new set for their Footy show on NITV. 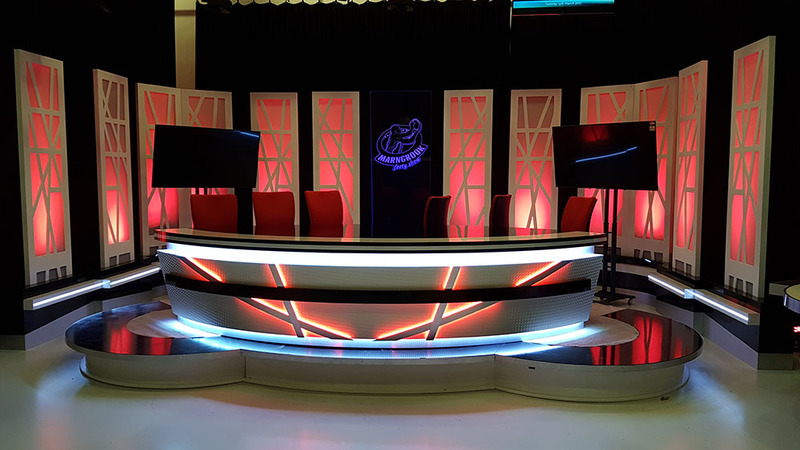 We worked closely with their director and producer to come up with a concept for the show, which entailed the modification of their existing rostrum. 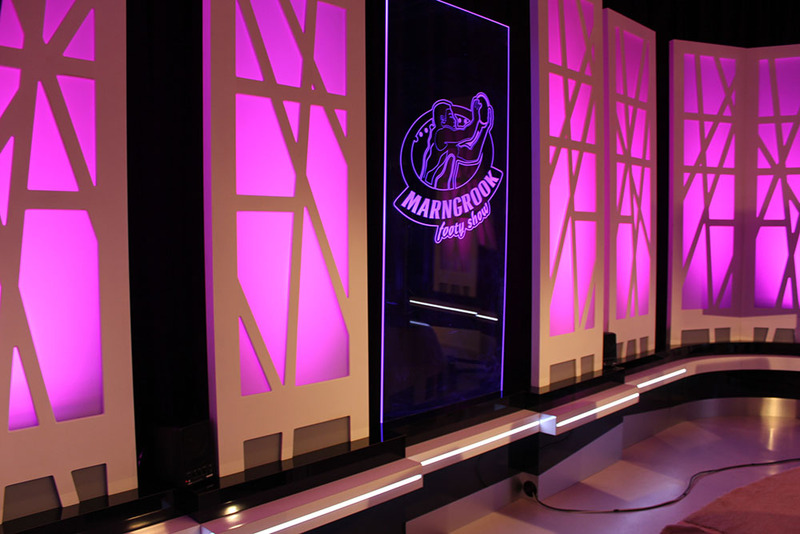 The Client’s requirement was to enable colour changing on the rostrum during the show, as well as adapting it to fit into a 20ft container for storage on a weekly basis. 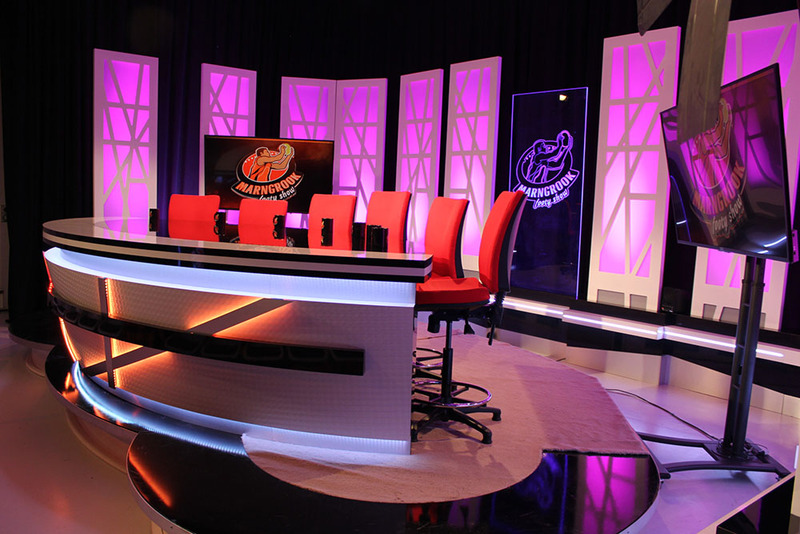 The set elements that they required was a new fresh look moving away from their old studio set. 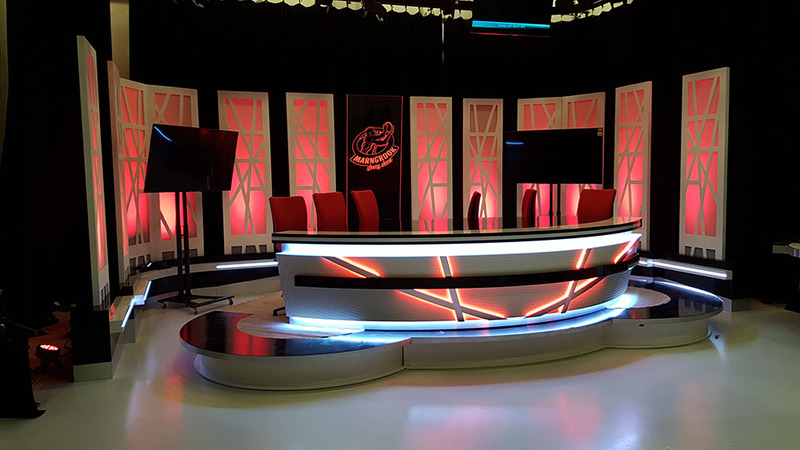 The challenge was developing, constructing and installing a desk that could accommodate up to 7 people, and also be dismantled for storage in a 6-week construction time frame. 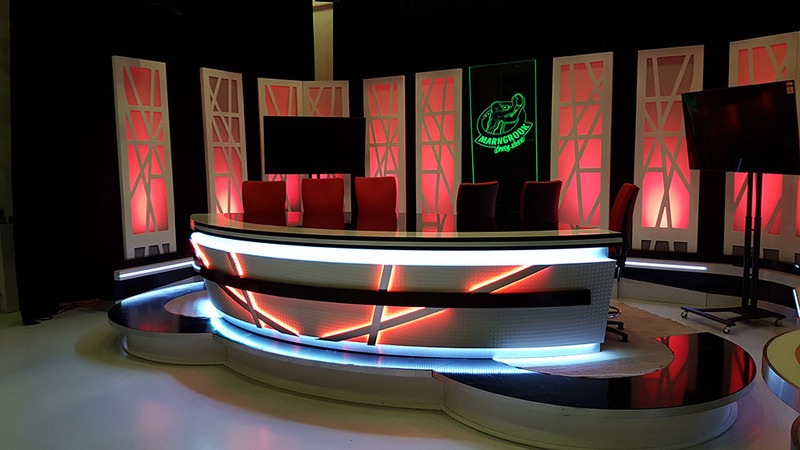 The finished product was a success with the project coming in on time and budget, and our clients very happy with all aspects of the design and the Set construction.